For a while, I’ve thought about blogging more about blogging. This is something I’ve been doing for the past nine years and I like to share what I’ve learned with others. When a blogging friend suggested doing an ABC series, I knew what I’d write about. 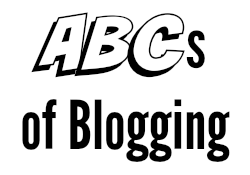 So on Thursdays here on the Koala Mom, I’ll be chatting about the ABCs of Blogging. To kick off the series, I’d like to discuss your About Me page. What is the About Me page? This page is your introduction to your readers. It may not seem like a very important page, but new readers (and brands, if you want to do product reviews or sponsored posts) will look to this page to learn more about who you are and what you blog about. You should have a brief bio of yourself, along with a headshot, somewhere in the sidebar of your blog. I (and many other blogs I read) have my bio at the top of my sidebar. This should be really short and sweet, as you don’t want to take up much valuable space in your sidebar but you do want readers to know a little bit about you. Here you can add a link like “read more” to take curious readers to your About Me page. You can either write your About Me page in first person (“I am a mom and wife who…”) or third-person (“Bonnie Way is a mom and wife who…”). It’s often more traditional to write bios in third-person, but this can feel awkward and formal. Do what feels better to you, depending upon your personality and the style you want for your blog. While you’re writing, think about your tone. This is your introduction to your readers, so you want to be yourself. If your blog is usually somewhat sarcastic, don’t be super serious here. Think about how you introduce yourself to new people in person or what you’d tell someone when you’ve just met them at a conference or coffee shop. 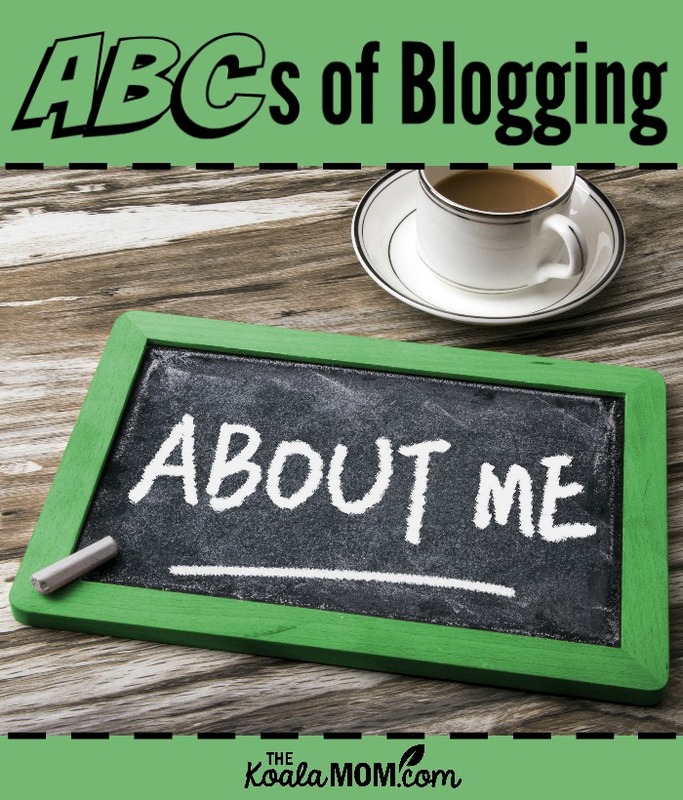 What should you include in your About Me page? Think about your readers while writing. What might they want to know about you? What is relevant about your life for your blog? For example, in my About Me page, I talk about being a mom (and all the hats I wear as a mom) because that’s what my blog is about. If you write about pets, mention your pets. If you write about travel, talk about the places you’ve been. While your About Me page isn’t a resume, it is a good place to list your credentials, in a fun way. Again, let your personality show here; don’t just give readers a list of “been there, done that.” What might help them connect with you and want to keep reading? When I’m dropping by another blog, I love finding out things I have in common with the other blogger, so feel free to share your hobbies or interests. If you want to work with brands, think of them as readers too. What might they want to know about you when they land on your blog? This is also a good place to include a few pictures of yourself. Professional photos are preferable, but you also want photos relevant to the topic of your blog. You might include a picture of your family, if you write about family, or a picture of you baking if you write a food blog. Remember that a picture is worth a thousand words and readers want a face to connect with your name. What do you like to know about bloggers you follow? What tips would you offer for writing an about me page? Love your About Me page? Share it in the comments! Want help with your page? Leave the link and let me know you’d like a second opinion—I’ll drop by and offer my advice. I’m just starting out and I’d love to know what you think of my About Me page at http://www.michelleoie.com. Thanks to you I figured out how to get my pic and brief bio on my home page. haha Thanks! !